Why exhibitions are the most popular BTL platforms? Why exhibitions are the most popular BTL platforms? Gone are the days when television and radio were the prime means for brands to communicate with their target audience. Marketing has branched out exponentially over the past decade to cater to the ever changing consumer preferences and habits. Now, above the line marketing platforms such as print media, television and radio have made way to below the line marketing platforms such as brand activation, promotions and exhibitions. Among the various branches of below the line marketing platforms, exhibition is the popular choice of brands and companies worldwide. Tradeshows and exhibitions give a platform for brands and companies to showcase their latest ware to their target audience. Especially in the business to business (B2B) sector exhibitions are the number one platform for brands to market themselves and their products. Access to a specific group – There is no other place apart from exhibitions that brings together industry professionals, experts and businessmen under one roof! For example and automobile exhibition will attract automobile engineers, dealers, suppliers and even companies dealing in automobile accessories. With the help of stunning exhibition stands you can attract a host of professionals to your exhibition stall and make the most of the opportunity of participating in exhibitions. Enables live interaction with target audience – Exhibitions is among the very few marketing platforms that enables live interaction with the target group at the comfort of your exhibition stands. The power of one on one communication with your consumer cannot be undermined. You not only get an insight on the purchasing decision of your consumer but also valuable feedback in the process. Exhibitions literally brings the consumer to your doorstep (aka exhibition stalls) and you can engage them in one on one dialog to know them better and understand their purchasing habits. A stage to showcase your brand – Exhibition is a grand event, attracting the attention of industry professionals and even the print and television media. This makes exhibitions the opportune moment for launches. Many brands intentionally coincide the launch of their brand and products to match major exhibition dates. Some brands go all out for their launches while some do it at their humble exhibition booths. 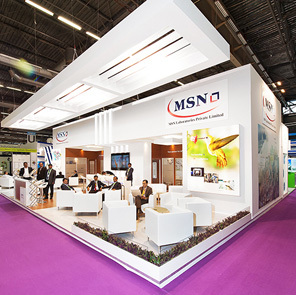 In fact a well-designed exhibition stand will garner tremendous amount of attention for your launch. 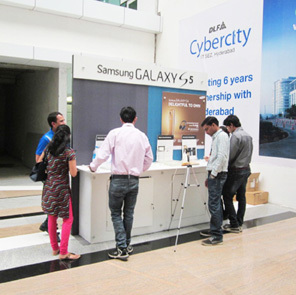 Effective brand building activity – Participating in exhibitions adds credibility to the name. Showcasing alongside reputed brands at your exhibition stalls, make your brand seem trustworthy and genuine. Exhibitions are a great brand building activity that helps to project a positive brand image. The results of participating in exhibitions are beneficial for the company’s reputation especially in the long run. An opportunity to gauge the competition – Competition analysis is a very important aspect of business. Studying the competition from afar gives theoretical knowledge which, to some extent is quite useful but in reality testing how well your brand does against your competitor is a different ball game altogether. Exhibitions allow you to gauge your competitor’s true capabilities against yours. This gives you vital information about what strategies are working and what are not. Participating in exhibitions give you insights and feedback on your own marketing plan as well. Opportunity to meet industry professionals – Last but not the least, exhibitions is a thriving hub of industry professionals, experts, bloggers, investors and businessmen. It is a great opportunity to meet potential investors and business partners. Forging new alliances through these meetings can prove advantageous to new companies, especially in the long run.